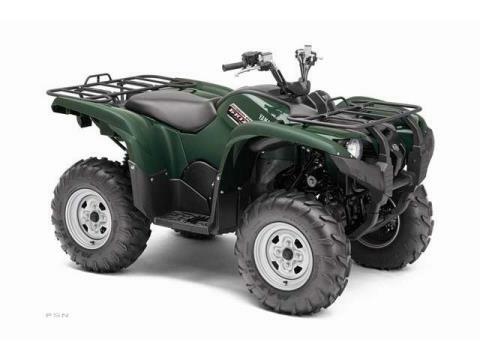 Voted "Best of the Best" With all the features of its big bore brother including industry-first Electric Power Steering (EPS) but in a slightly smaller engine package, the Grizzly 550 FI EPS is the ultimate utility ATV and Field & Stream's "Best of the Best." Dual 35-watt multi-reflector halogen bulb headlights with high/low beams provide bright illumination for nighttime work or play. Trick digital instrument panel boasts a multi-function LCD display with speedometer, odometer, dual trip meter, hour meter that counts the engine’s running hours, 4WD status, transmission position, clock and fuel gauge. This 558 cc 4-stroke SOHC 4-valve liquid-cooled engine is derived directly from the industry-leading Grizzly 700 powerplant. 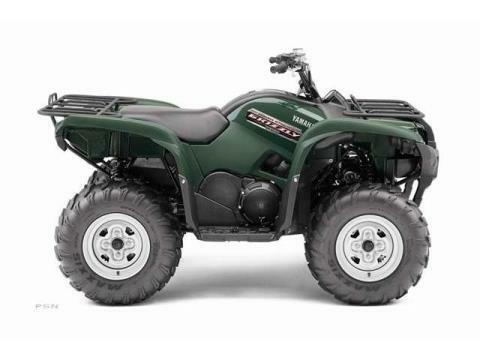 Industry-exclusive, fully automatic Ultramatic® transmission is the most advanced drive system in ATVs. An automatic centrifugal clutch maintains constant belt tension for reduced belt wear and uses a sprag clutch for all-wheel downhill engine braking in 4WD mode. 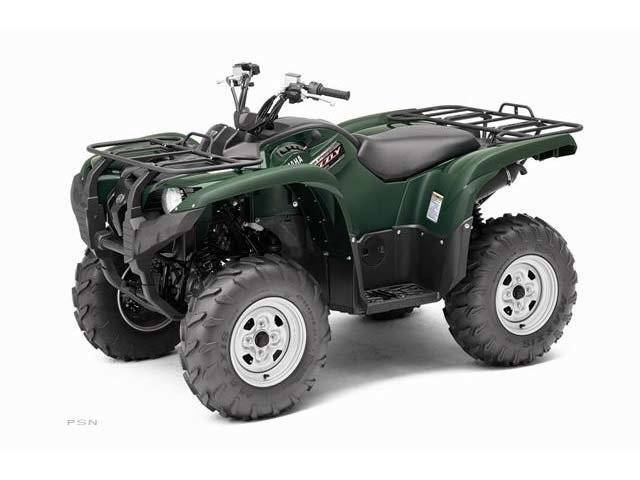 The 550 cc class has a leader, with a fully featured package based on its best-selling bigger brother, the Grizzly 700 FI, with a largest-in-class 558 cc powerplant, Electric Power Steering and excellent value. Three-position On-Command® In/Out 4WD feature lets you switch between 2WD, limited-slip 4WD and fully locked differential 4WD—all with a simple push of a button. 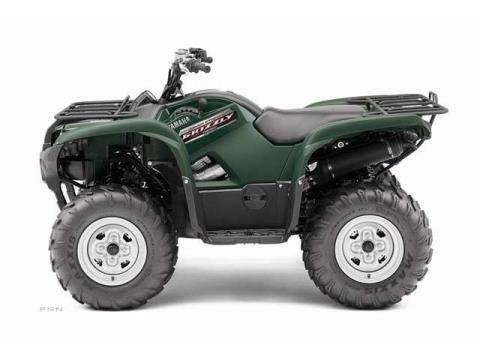 Rugged Maxxis® tires get the Grizzly moving over the gnarliest terrain. New oil access cover allows easy access to check oil level.